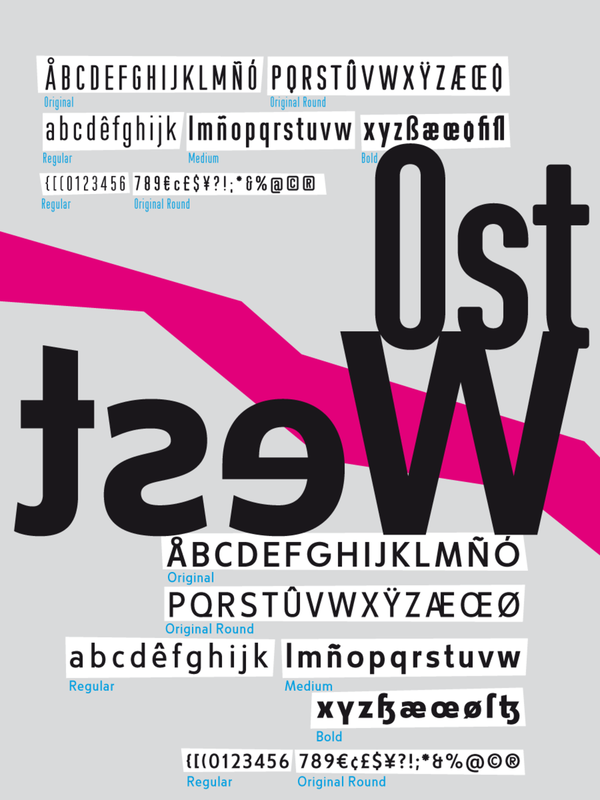 Designed by Verena Gerlach and Ole Schäfer in 2000. Published by FontFont. 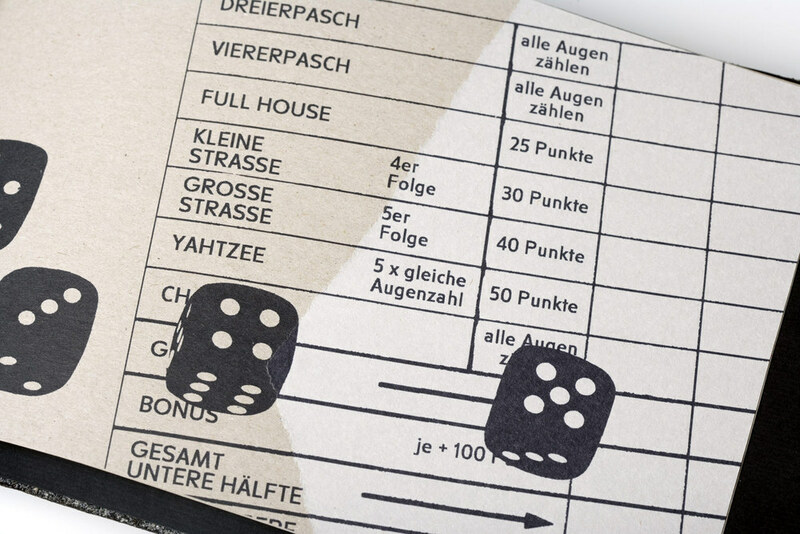 FF Cst Berlin West supports up to 50 different languages such as Spanish, English, Portuguese, German, French, Italian, Dutch, Swedish, Finnish, Danish, Irish, Basque, Luxembourgian, and Icelandic in Latin and other scripts. 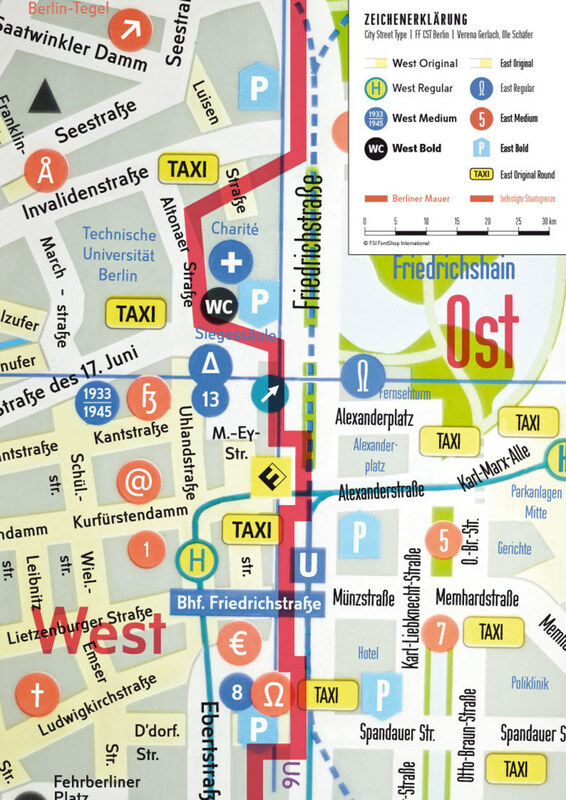 For decades, two different styles marked the streets of divided Berlin. West Berlin street signs were made using a sans serif standard that dated back to the 1930s, at least. Meanwhile, street signs in East Berlin made use of a narrow, router-based design, which was most likely developed during the 1950s. After German reunification in 1989, it was unclear what would happen to these competing signage styles. Two Berlin-based designers – Ole Schäfer and Verena Gerlach – took to the streets to document as many of the signs as they could, before any might be affected. 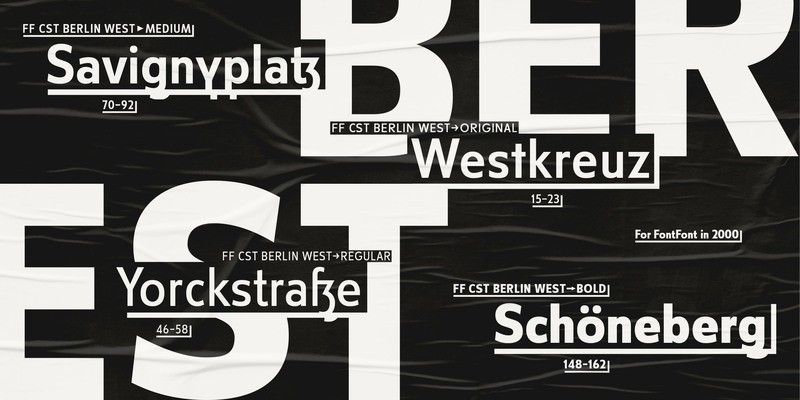 Based on their documentation of the signs themselves, rather than on the technical standards from which the signs were actually made, Gerlach and Schäfer produced the FF City Street Type series. 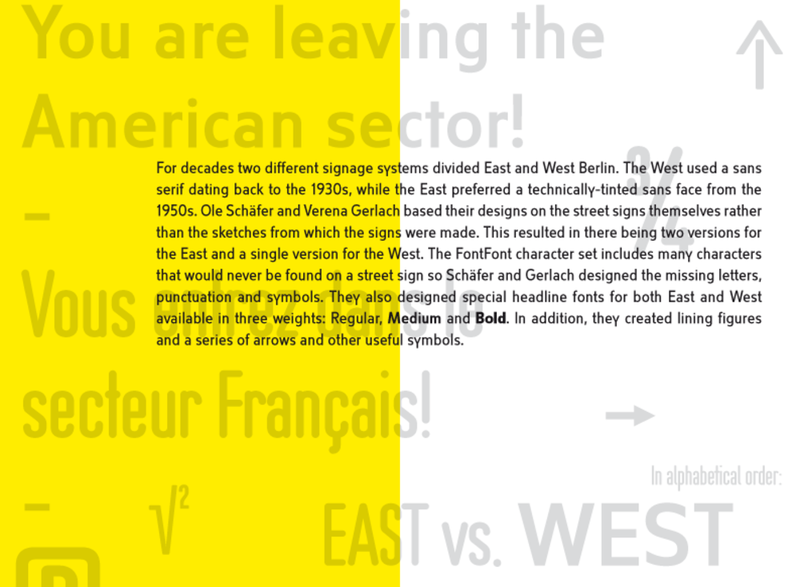 Their work resulted in three single-style families representing the “East,” and two for the “West.” The final character set required many characters that would never be found on street signs of course, so Gerlach and Schäfer designed all of these missing glyphs, punctuation marks, arrows, and other symbols from scratch. Now with Berlin crowned as the hip design capital of Europe, the eclecticism of these divided styles has for the time being stayed in place. Designers across the united city and around the world have embraced the FontFont City Street Type series, and there’s no reason why you shouldn’t, too! Not only are the FF City Street Types an excellent and powerful choice for use in wayfinding systems, they are uniquely-voiced branding and corporate design tools.